I became an “accidental academic” six years ago when the University of Washington hired me to direct its graduate degree program in digital media (MCDM). I may have been a journalist and filmmaker who had been pushing the envelope with nascent digital and social media platforms, but did not know much about the academy, and had never aspired for a life in education. (1) Llisten to those who were willing to commit time and money and determine what their key value proposition was in registering in the program. (2) Connect to industry leaders and visionaries and learn from them about where the subject matter was going, even as I educated them about the program (thereby raising its profile, and hopefully the appeal of its graduates to prospective employers). It worked. Combining my own professional experience as a storyteller with the feedback we were getting from students and our advisors, we shaped the focus of the program by asking key questions: How do we influence and persuade in the digital age? What would we consider successful engagement in today’s communication ecosystem? What strategic competencies must we media professionals master, to lead the way within our organizations? As a collective, the MCDM responded: successful communication requires the design of intelligent relationship-building strategies anchored by compelling stories and insightful analytics. This approach, our collaborative, community-facing learning environment, and our superlative faculty drove and sustained our success. Our timing was good too. From 2007 onwards, the MCDM grew considerably as social networks, mobile technology, and the Internet generally went mainstream. 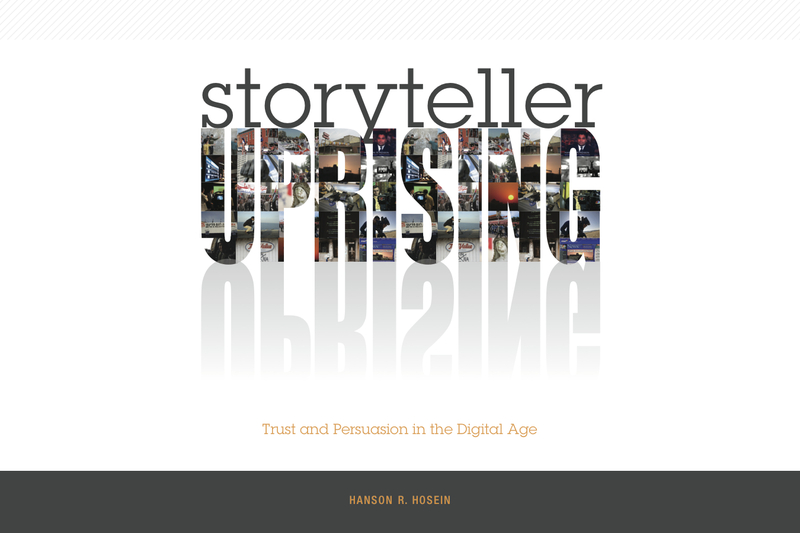 And now in 2013, we’re pivoting to embrace an emerging reality: in this time of exponential change, professionals who can master how to lead through the discipline of communication can turn chaos into opportunity (all part of the “uprising”). So we’re creating a sister degree emphasis to sit alongside the MCDM: the MCCN — the Master of Communication in Communities and Networks. And both will reside under the programmatic “roof” of Communication Leadership. My colleagues and I built this structure and program over the last six months for our community, in collaboration with our community. Early in the process, some of our constituents asked that we proceed with adequate respect for the foundation we had collectively built with the MCDM, even as they urged us to think strategically about the framing of the new program. So we listened. And we slowed down. Embedded in this post is a brief that outlines the genesis of the new program, our motivation for pursuing it, and the rigorous process we’ve undertaken up to now. In the report, you’ll see that we consulted with industry advisors about this prospective shift. They were the ones who told us that there’s great demand now for leaders who have strong communication experience in connecting people, ideas and skills to effect successful outcomes. They told us that they were less interested in a program that produced graduates with certain skills, and rather sought potential hires that could instill a particular aptitude to managing and leading the dramatic professional change that so many are presently facing. (2) February 13 2013: We’re co-sponsoring (and I’m hosting) the Seattle Chamber’s in-nw Conference 2013 “the current and future landscape of social engagement” at the famed Showbox in SODO. The day-long program is designed to reflect much of what I’ve outlined in this post. So if you want to experience Communication Leadership in a nutshell, register here. Next:New screens for old: is 4K OK for storytelling?